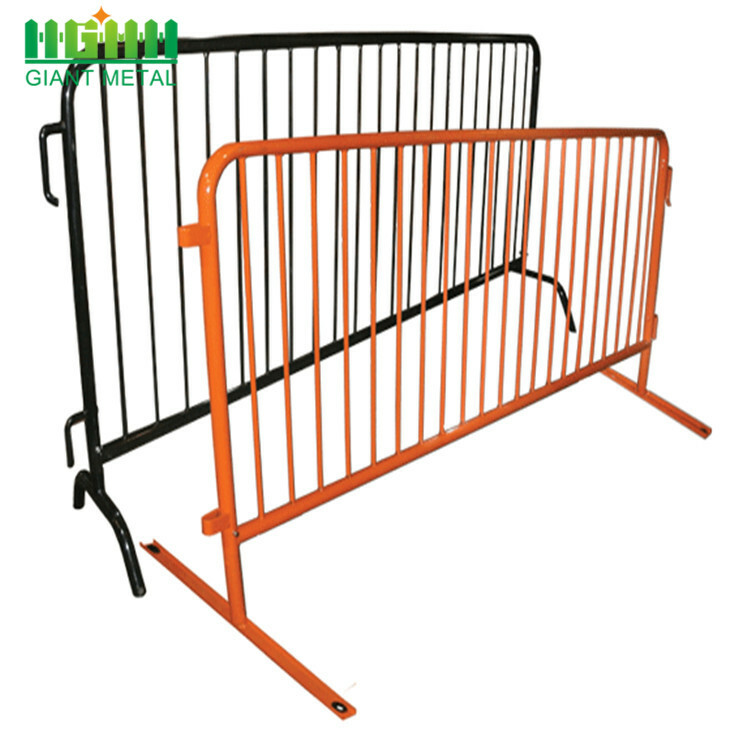 Crowd Control Barrier also known as crowd control barricades, steel barrier, road (safety) barrier, event barrier, removable barrier, etc. 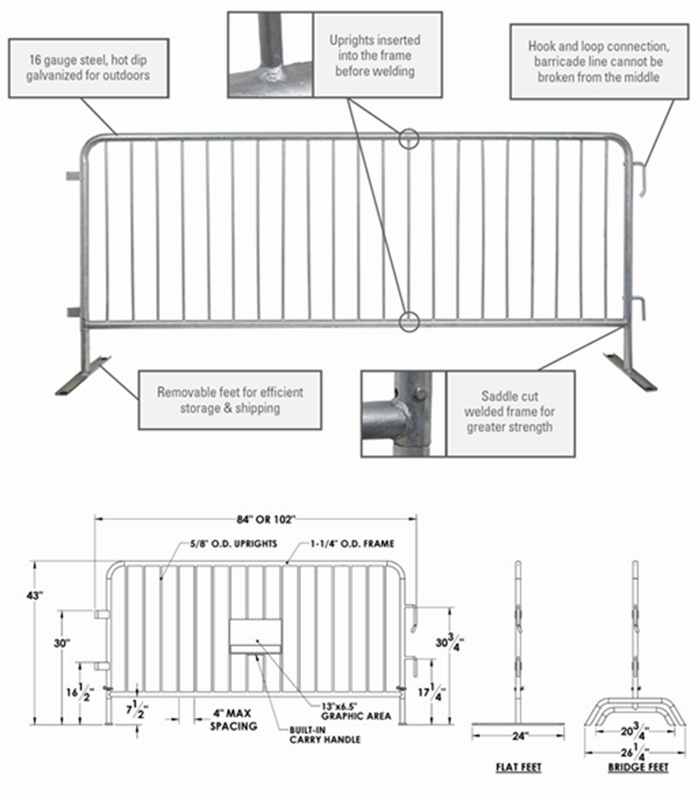 Designed for crowd control barricades: take care of safety and security issues on your site. Ideal for use at special events, public gatherings, emergency situations, repairs and more. 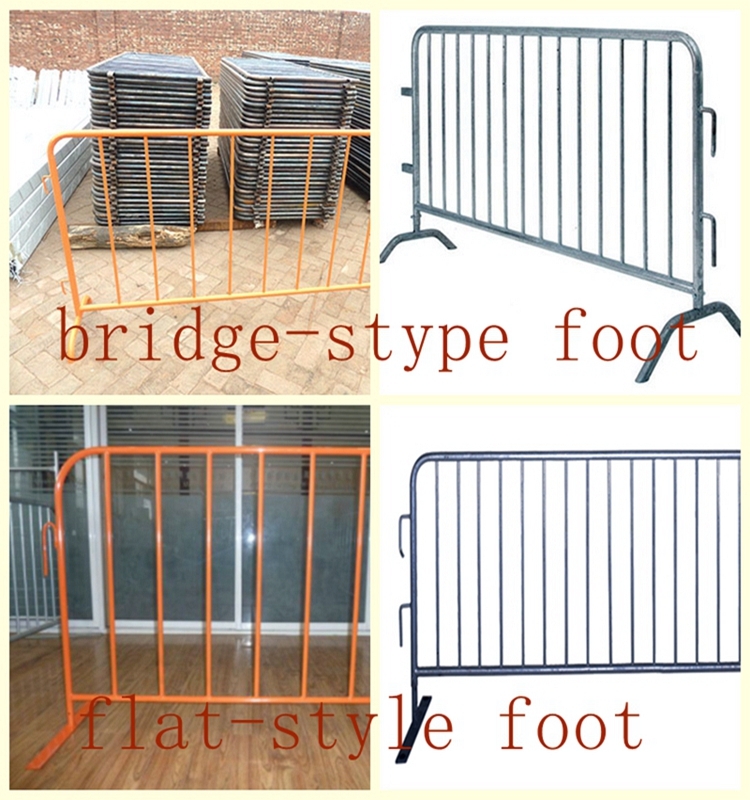 • crowd control barrier with a bridge-style foot, is the best selling crowd control barrier on the market! • The bridge-foot design provides maximum stability for the barrier , thus making the product an ideal choice for use on grass, soft or uneven surfaces. • The Bridge Foot provides the best resistance to pushing by crowds - so if you are planning a parade, rally or concert, choose this for your sensitive crowd control needs. • crowd control barrier with a flat-style foot, is the ideal choice at special events or venues that require funneling crowds or traffic in parallel lines. • The flat-foot design minimizes the tripping hazard and vehicle tires roll easily over the foot without damage to the barricade. • The flat foot distributes weight evenly and rubber grommets provide added protection for sensitive floors. Two holes in each foot allows it to be anchored to the ground. 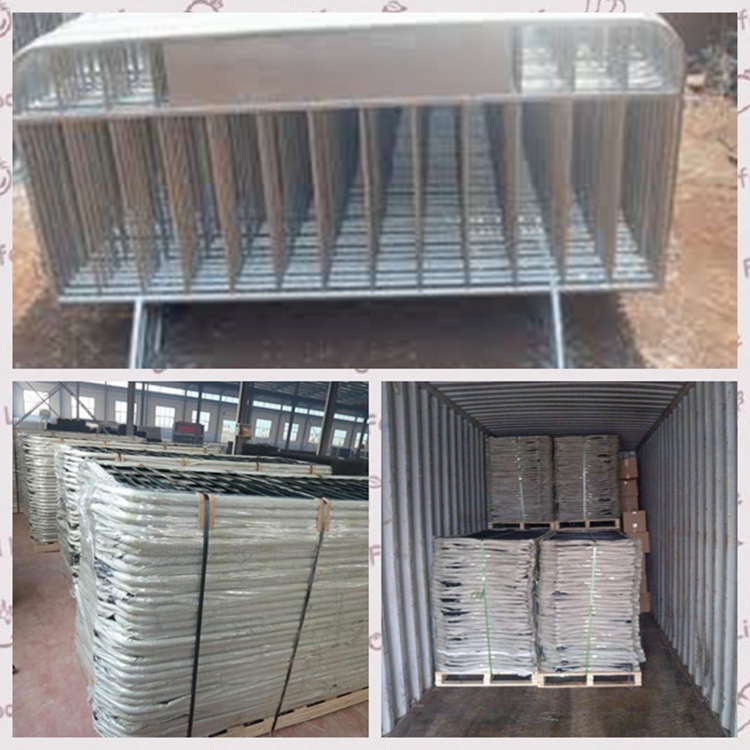 Packaging: Powder coated Crowd Control Barrier usually packaging by wooden or metal pallet to protect the PVC surface, and it is easy loading and unloading to use pallets. 1. Good Quality + Factory Price + Quick Response + Reliable Service is what we are trying best to offer you. 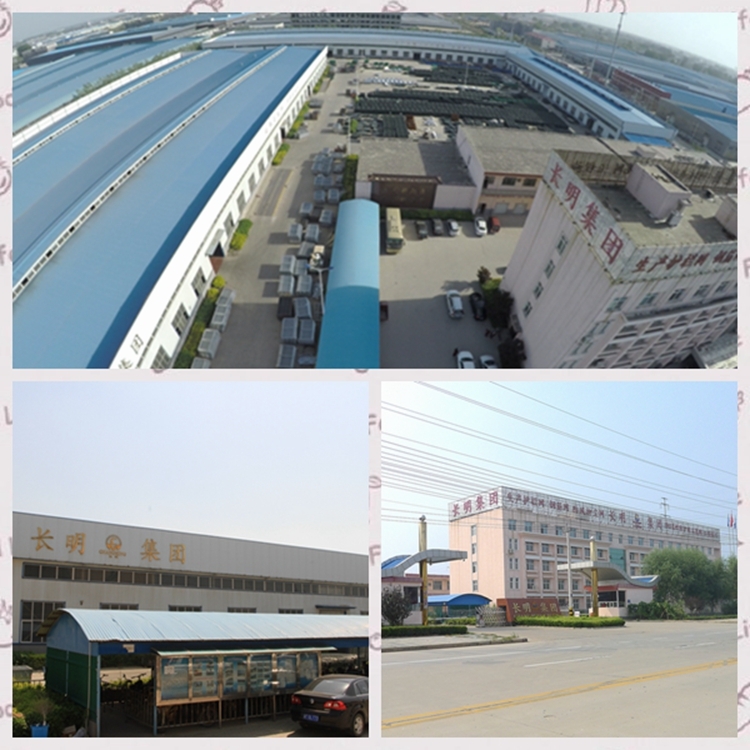 2.All of our products are produced by our professional workman and we have our high work effect foreign trade team. You can totally believe our service. 3.We have rich experience of design, manufacture and sell, we cherish every order from our honor. 4.We will count cheapest shipped cost and make invoice to you at once. 5. Check quality again, then senf out to you at 1-2 working-day after your payment. 6. Email you the tracking No. and help to check the parcels until it arrive you. 7. We are very glad that customer give us some suggestion for price and products. 8. If any questions, please feel free to contact with us by Email or Telephone. 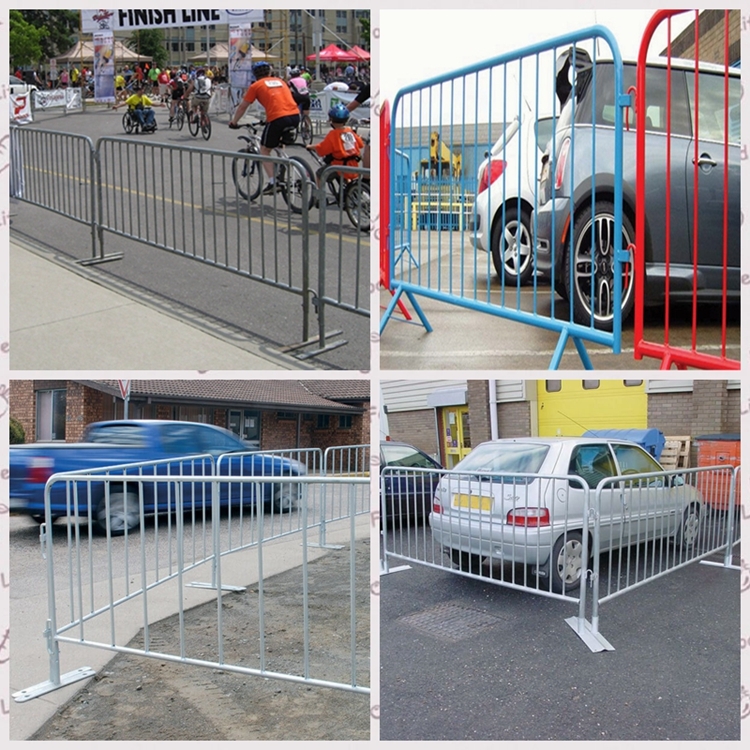 Looking for ideal Crowd Control Barrier Manufacturer & supplier ? We have a wide selection at great prices to help you get creative. 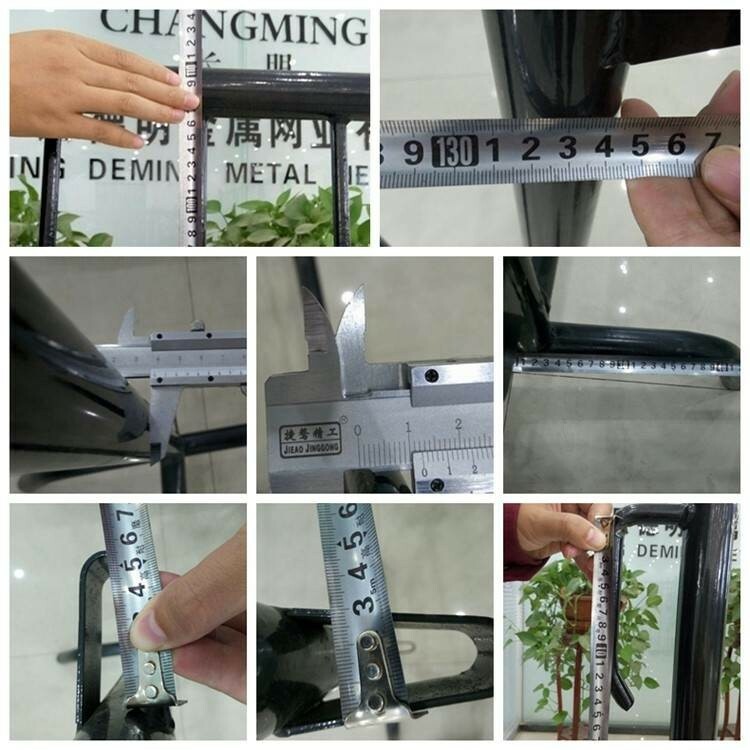 All the Galvanized Standpipe Guardrail are quality guaranteed. 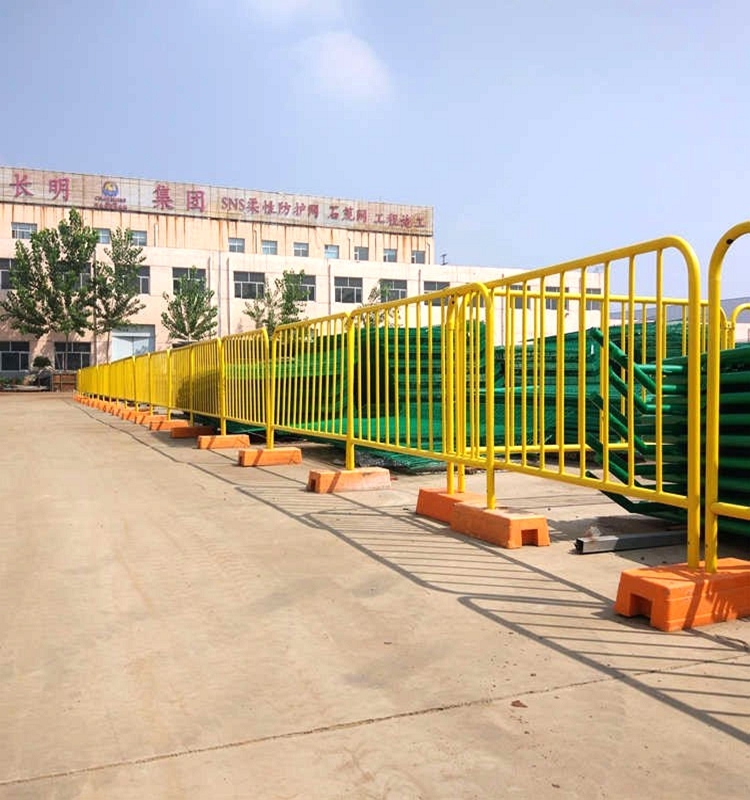 We are China Origin Factory of Galvanized Crowd Control Barrier. If you have any question, please feel free to contact us.